Many free apps mean you have the burden of having ads appear, not only are they annoying but they eat through your data. It might be worth paying for an app rather than paying the consequences in data roaming charges. Weigh up the options on apps you might use when you are away. Apps like Onavo Extend compresses all the data you use and can therefore gives you much more bang for your buck. This handy (and free) app can reduce your data usage by as much as 5 times – that’s your data roaming bill divided by 5… a nice saving! Your smart phone continually connects to the internet in the background, and while your phone is switched off. This is to ensure you have the most up to date information from your social channels and your apps. Although this is useful, it can cost you a fortune in data roaming fees. You will save yourself substantially if you switch off updates and purge when you have access to free Wi-Fi. You can use travel apps like Pocket to save offline copies of web pages, videos and articles so you can refer to them later without having to use your data. Pocket is an offline app and you can easily organise all your saved content so you can find it when you need it. Portable WiFi is a lifesaver as free hotel WiFi isn't always availiable. WiFi that is open to anyone also leaves your personal data open to hackers. 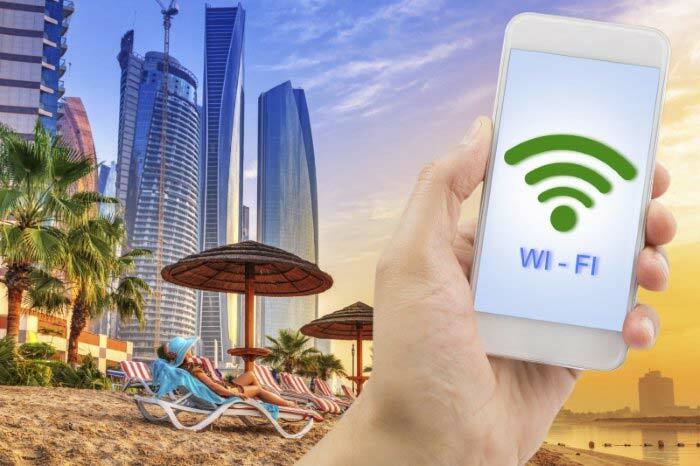 Portable WiFi gives you a secure internet connection anywhere in the world and it means you can easily manage your data costs. You don’t need to have a data connection in order to not get lost. Save an offline Google map of the area you are travelling to and later refer to it, zooming in and out as you please. Maps are only saved for 30 days so please keep this in mind. An even better option is to download an offline navigation app in order to benefit from route planning and voice navigation. Switch to Chrome and you can reduce your data use by up to 50% as the browser automatically reduces the page size. In order to reduce page size you will need to enable this feature. To enable this visit: Settings > Bandwidth Management > Reduce data usage. There are loads of brilliant travel apps out there that can be insanely useful for your travels – however, many of them are not available offline and therefore could cost you a fair bit therefore maybe not quite as worthwhile as they seem. Make sure all your travel apps are available offline (turn your data off before you travel just to check to see if they work as they should). You can get access to free and premium global WiFi hotspots (57 million of them to be precise) in 120 countries using a premium WiFi app. This means you never have to enter any passwords and you will be automatically connected to the enarest WiFi hotspot wherever you are - even on planes! Find out more. A little preparation can not only save you time, but also save you money. Before you travel download more than enough videos, music and eBooks so you don’t have to download anything while you are travelling. You can do this using free Wi-Fi while you are away but let’s face it, free Wi-Fi is often painfully slow. We shouldn’t have to say it but it’s best to be on the safe side! Keep data roaming switched off while you are travelling, only switch it on when you need to access the internet; if you leave it switched on you are likely to wish you hadn’t.